It seems that Asus is currently in the process of preparing to launch a new Chromebook that will be equipped with a Intel Celeron N3060 Braswell processor taking the form of the new Asus C300SA Chromebook. As yet the new C300SA Chromebook has not yet been officially announced by Asus but was spotted by Roland Quandt who published the details via Twitter revealing the specifications for the new system via the Dustin website ahead of any official announcements or press releases. 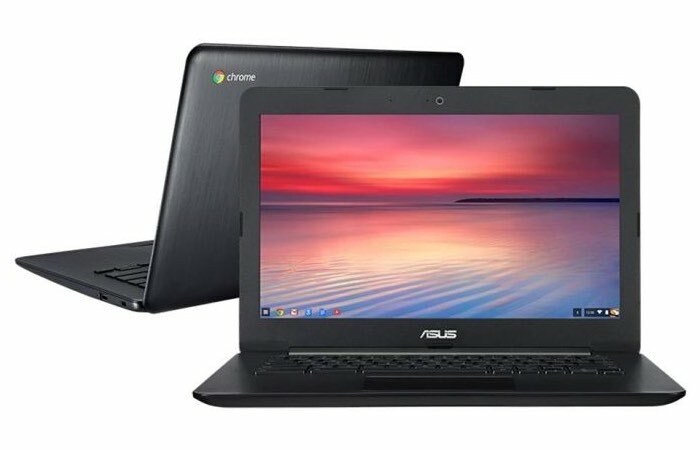 The new Chromebook is equipped with an option to choose between either a resolution of 1366 x 768 pixels or 1920 x 1080 pixels depending on your preference and budget and Asus have also included the ability to include up to 32GB of storage. Other specifications include connectivity via 802.11ac WiFi, Bluetooth 4.2 USB 3.0, headset, HDMI and a handy SD card reader to expand your on-board storage even further. As soon as the Asus C300SA Chromebook is officially announced we will keep you up-to-date on pricing and worldwide availability but until then full specifications are available to view over on the Dustin website via the link below.